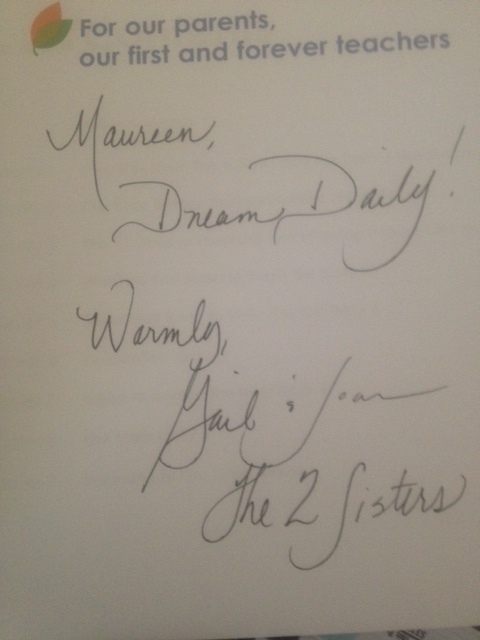 In May Stenhouse had a blog tour of the second edition of The Daily 5 by Gail Boushey and Joan Moser, AKA “The 2 Sisters.” All you had to do was leave a comment on the blogs and you would be entered for a signed copy of this book. Any chance to win a book, I’m in. I’ve been known to make a comment every now and then, even with no carrot dangling. 🙂 Lucky me! 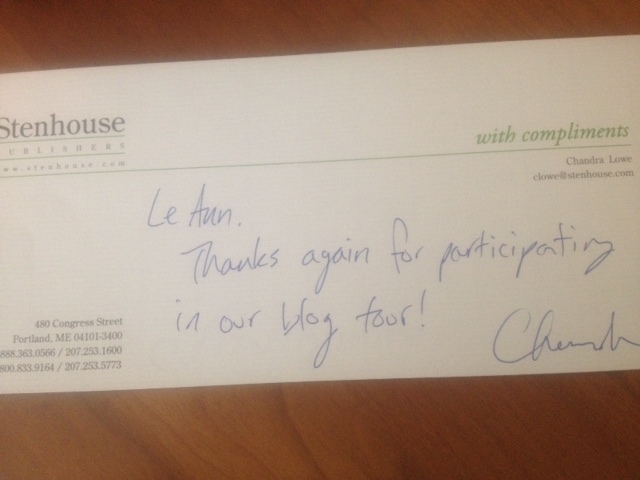 I got a Twitter message from Mandy Robek at Enjoy and Embrace Learning that I was a lucky winner! (Thank you Mandy!) Woo hoo! All I had to do was send her a message with my address. I did, so now I began waiting for my book. 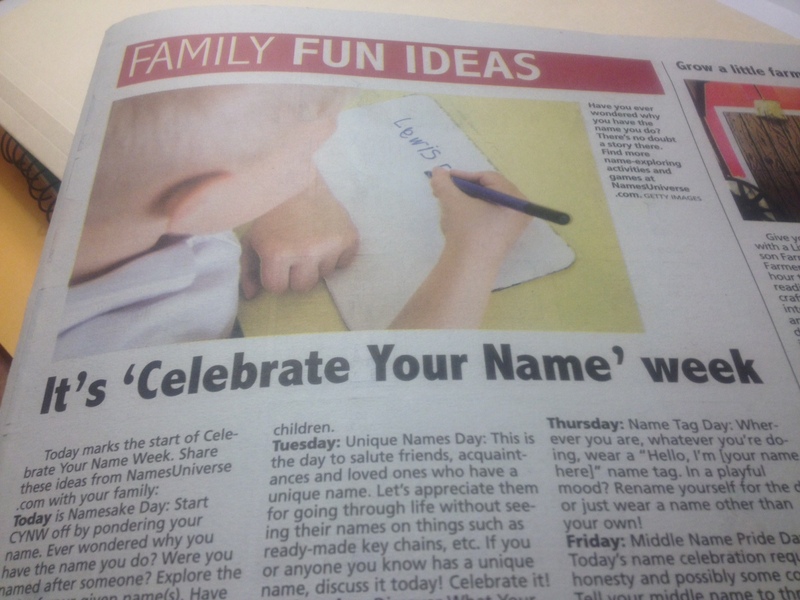 Sunday’s paper had an insert that declared this week is “Celebrate Your Name” week. They had a focus for each day of the week. Since I obviously didn’t follow through with their daily suggestions, I thought I’d fit them all into one post. So hang on, you are going to find out more than you ever wanted to know about my name. My mother was pregnant and on a boat to the Philippines to join my father at Clarke’s Air Force Base when she met a woman and her daughter. My mother declared that should her baby be a girl, she would be named LeAnn because that was such a beautiful name. As a child, I was not happy with the name choice. 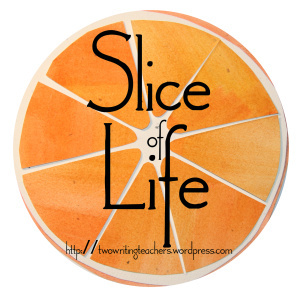 I grumbled about why did my mom meet that lady? No one else had a name like me. I was different, I did not like being different. I wanted to be a Debbie, there were several Debbie’s in my class at school. Urban dictionary states: A name normally given to only the most gorgeous of girls. (yeah, right) Plus a lot of other bits of nonsense. I hated having that unique name (didn’t I mention that before? ), so I feel for anyone with bizarre names. Here is my rule when naming children: You must be able to find a key chain, a pencil, a mini license plate, or something with the name you have selected for your child. No exceptions! Hence my son’s name is David. In America the meaning of the name Leann is: Derived from an Irish Gaelic of Helen: (light;beautiful woman). Who knew? They say to wear a name tag that says, Hello, I’m _________ Not happening for this girl. I will be working, I will wear my name tag. Don’t have one, no pride here. 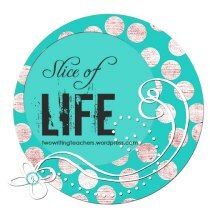 My maiden name had two words, my mother decided since my first name sounds like two words I didn’t need a middle name. She didn’t want to burden that little baby with so many names. Thanks, mom! I’m supposed to check out family tree. I don’t have to, my cousins already did it. Thanks cousins! So there you have it, I’ve celebrated name week. Perhaps you will want to share your trials and joys of your name this month. Are you aware washing your hands could be hazardous? Of course, not washing your hands could also be hazardous. However that’s another story for another day. On this day I need to warn you of the danger lurking at your sink. Beware! 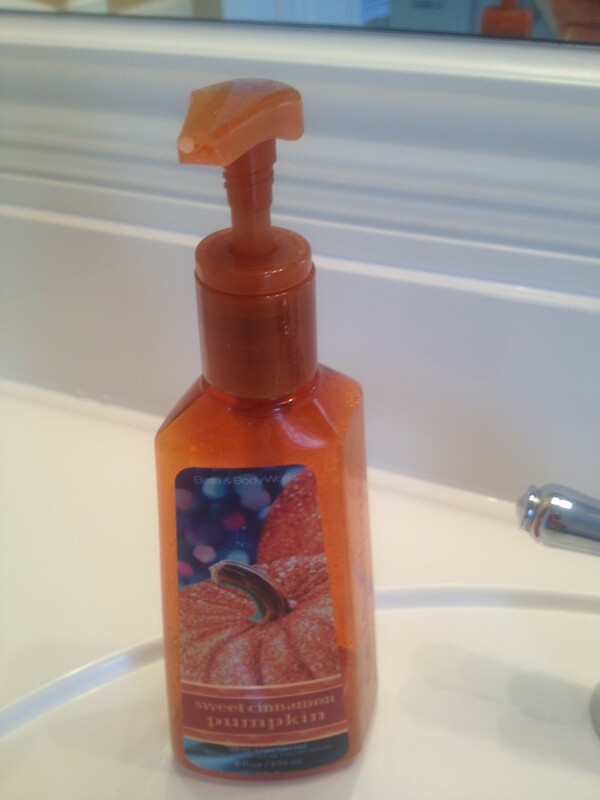 This innocent looking bottle of hand soap can inflict pain. Do you use liquid soap in a pump? If the answer is yes, take heed of my warning. I had to learn the hard, may I say painful way. Here is my sad tale . . . I approached the sink nonchalantly, unaware of the danger ahead. I reached for the pump to plop a squirt in my hand. I applied even pressure to the top but no soap was dispensed. I pressed it slightly harder. There was a moment of resistance before the dam gave way and soap shot out in a variety of angles! In a fraction of a second I was covered in clear soap goo. This goo smeared across my fuzzy fleece shirt, narrowly missed my mouth (fortunately it was closed), but landed just above my lip, and in my hair. However, that was not the worst! A miniscule speck shot into my right eye. Oh the burn! I was aghast looking at my reflection in the mirror. Immediately I needed to attend to my eye. I rinsed and rinsed, but still it burned. I continued to furiously blink as I tended to the other landing places of the soap. Once I was moderately cleaned up, I examined the soap bottle carefully. I had never been attacked by my soap before, so I wondered what had prompted this full frontal assault. Wedged in the opening of the pump was a lump of congealed soap. Apparently it had built up over time and I had not noticed this collection of semi-dried soap getting ready to attack the next user. I suppose I should be grateful that this did not occur when I was dressed to go some place special, thereby requiring a wardrobe change.